Every older adult is a treasure. I am blessed to encounter many such treasures. I was at Quito’s new airport waiting for the driver. A car pulls up, a man in a starched white shirt jumps out and with a lot of enthusiasm waves. Lo and behold, it’s Luis, an Afro-Ecuadorian. It’s the first time we have met. He is going to accompany me for a site visit to a luxury senior living home and then to my hostal. On the way to my appointment I ask where he’s from. Ibarra he replies. “Do you happen to know The Three Marias?” I ask. The stars are in alignment, of course he does, and he can make the arrangements and drive me to meet them! So a few days later, Luis picks me up in the La Floresta area of Quito for what will be a long, yet amusing, day trip. 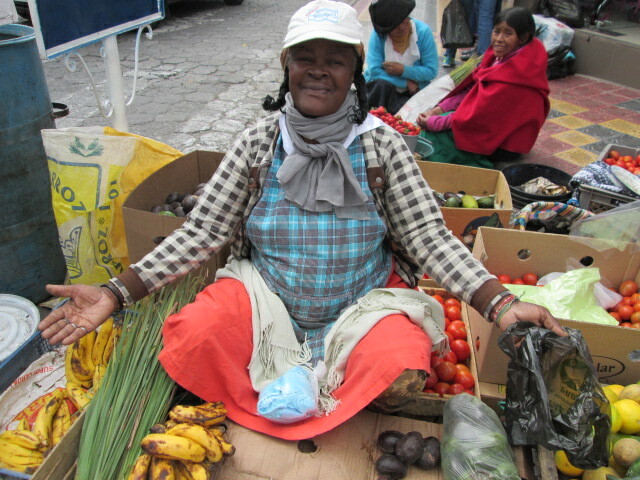 First stop, the Otavalo market where we will ask and ask for one of the sisters through Luis’ Afro network. The market is huge and extends for several blocks. It takes over 30 minutes to locate Maria Gloria’s place on the sidewalk. All of a sudden (I was beginning to wonder) there she is with a huge grin on her face. 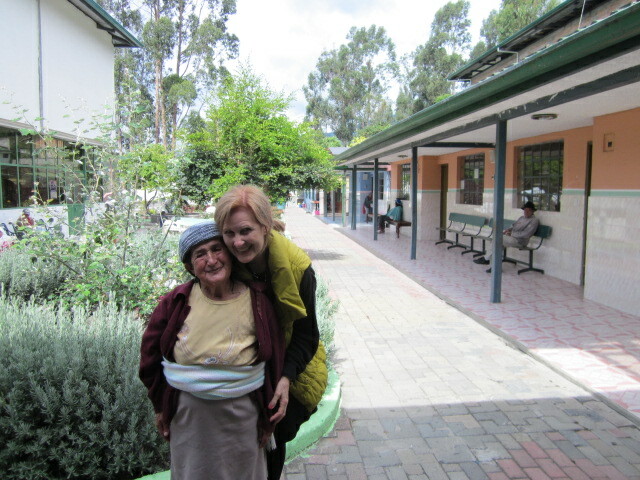 We say good-bye to Maria Gloria in Otavalo and head for Chalguayacu in the Chota Valley, way past Ibarra. Ibarra is the largest town on the way to the Colombian border. When we arrive in the village (approximately 2000 inhabitants and completely Afro-Ecuadorian), lots of kids rush to surround the car. And there beside the car, on the sidewalk, are Maria Rosa Elena and Maria Magdalena Pavon. Maria Rosa is 75 (not confirmed) and the oldest. She sells liquor out of her home. Every Saturday morning she takes a bus to purchase the liquor in Ibarra. She doesn’t say more, other than she has a husband. Maria Magdalena is a curandera (a healing person) and has diabetes. I found her to be a gentle soul. She likes to go to the senior center each weekday to meet up with about 40 others. The senior center is not open on the weekend, otherwise we would have made a point to stop there too. The sisters have never studied music. 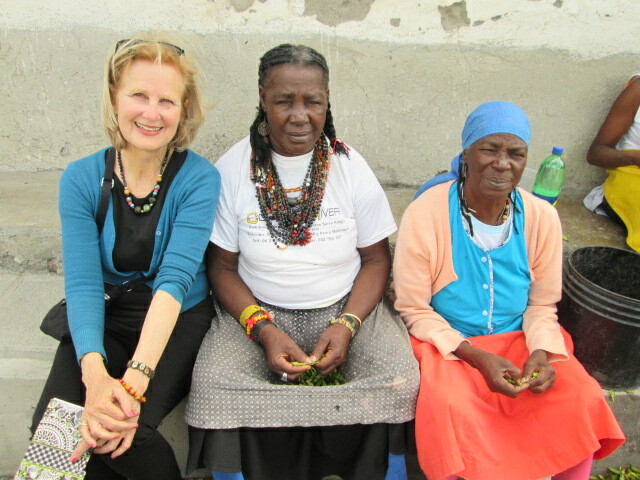 Their homes (all on the same street) have no running water and the tile roofs don’t appear to be sturdy. They love to travel and told me they wish to be invited to play in Cuenca. In 2012, Ecuador’s Ministry of Culture bestowed upon them the Bicentennial Medal of Cultural Merit for their unique style of music. On the way back to Quito, a bonus. 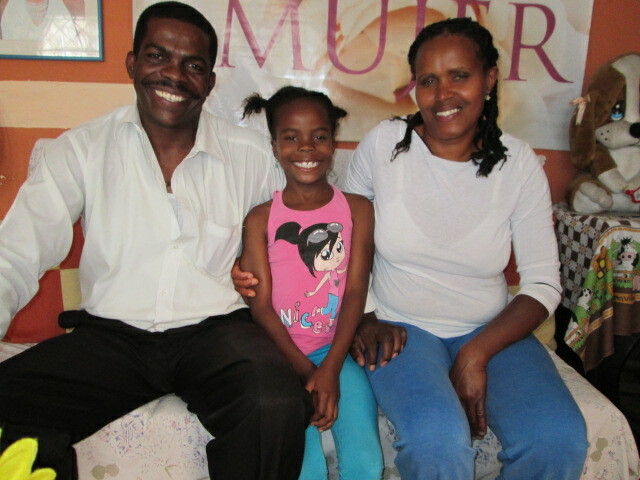 Luis brings me to meet his wife Silvia and daughter Alexa who live in a village down the road from Chalguayacu. Luis shares a flat with other family members in Quito during the week. He hopes to move his wife and daughter to Quito soon. As you can feel from the photo, they have sweet energy. I am happy to say that an ode to one of my heroines, Sister Patricia Rodriguez, a nun with the Sisters of Charity, has been published. (See the highlighted link below) . The City of Cuenca recently honored her amazing contributions not only to seniors but to the community at large. 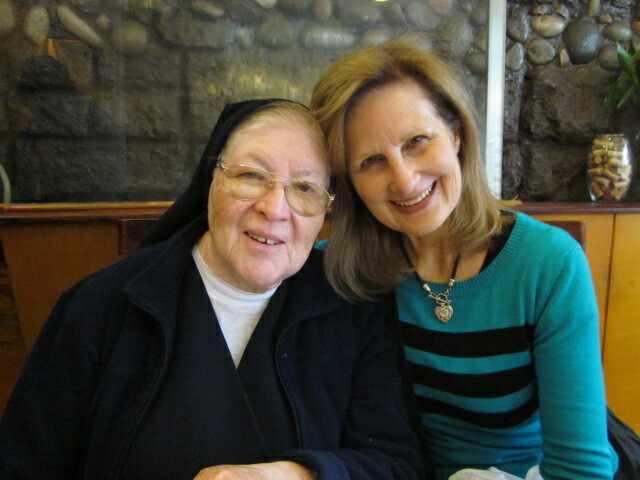 I have had the pleasure of following Sor Patricia’s work since 2011. She is indeed inspirational, and, a lot of fun to be around. The photo below was taken at an Italian restaurant in Cuenca. At 86 and still going strong, Sister Patricia Rodriguez is honored for her service to Cuenca’s abandoned seniors and to the community. In March, I published an article on the importance of End-of-Life Planning for North Americans and others who live overseas. Here is a link to the article in case you missed it. There was quite a bit of response. Most responders asked for a seminar. 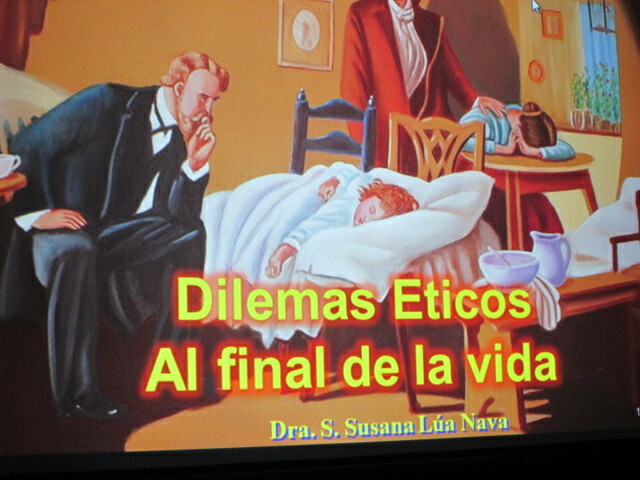 Mark your calendars for 11:00 am Wednesday, May 6 for an important discussion on End-of-Life legal matters and cremation/burial options in Cuenca, Ecuador. 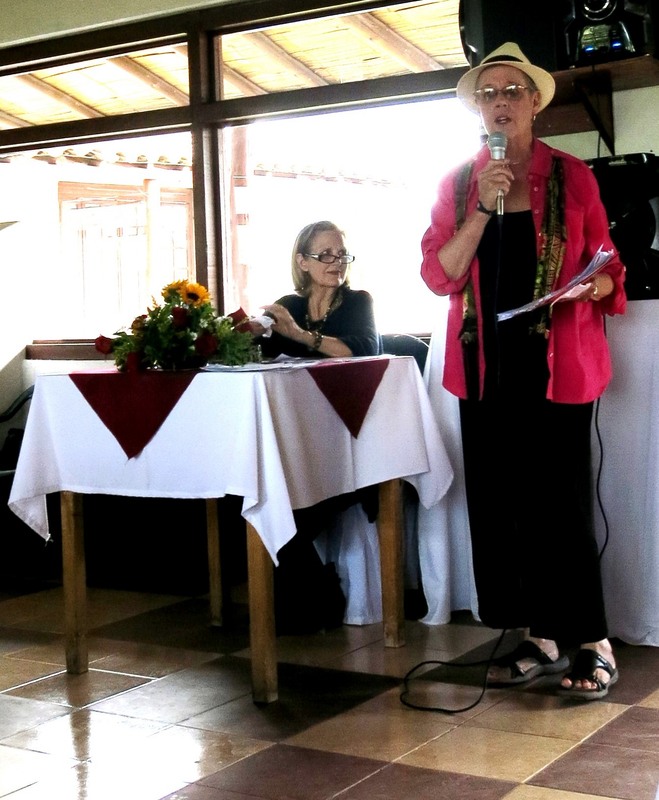 Senior care consultant Wendy Jane Carrel will moderate a panel with attorney Grace Velastegui and Camposanto Santa Ana Funeral and Cemetery General Director Simon Toral. 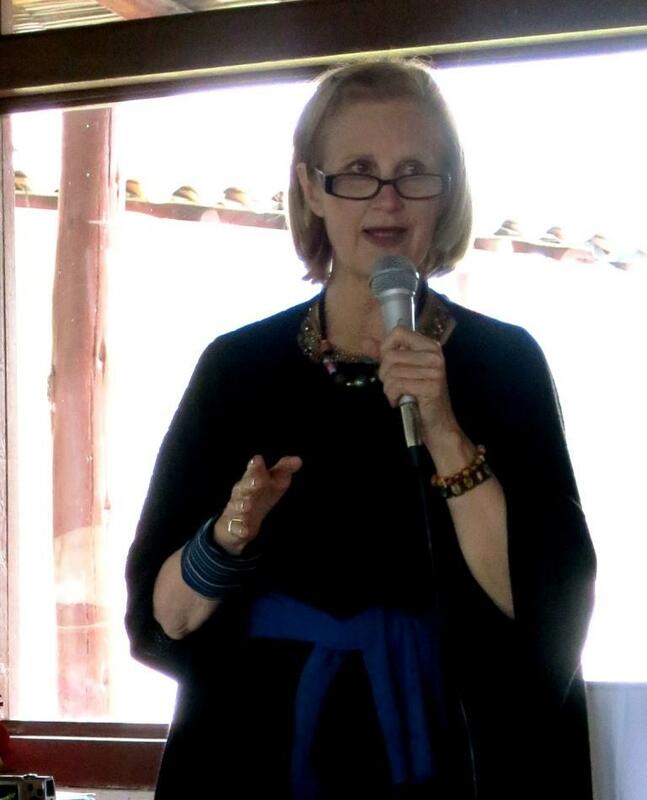 Presentations will be followed by a question and answer session to address your pressing concerns. May 6, 2015 11:00 a.m. 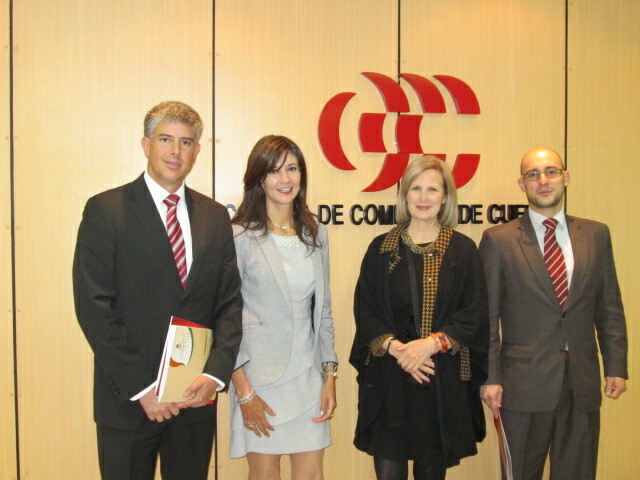 Here below is a photo from the May 6 meeting, deemed a success by the Cuenca Chamber of Commerce. 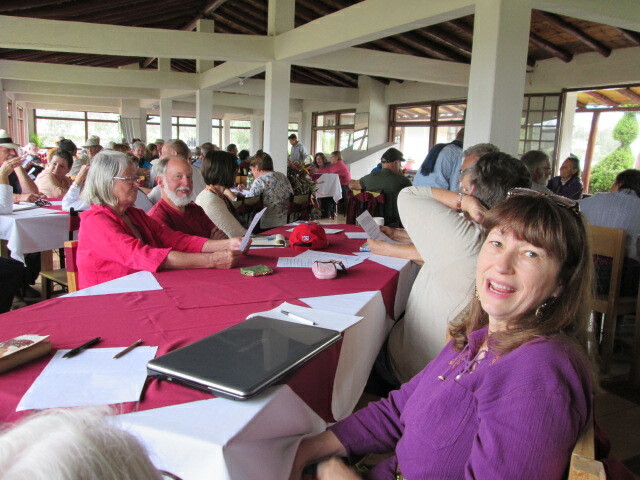 Almost 250 persons were in attendance. There are approximately 10,000 North Americans resident in Cuenca , Loja/Vilcabamba, and places in-between. 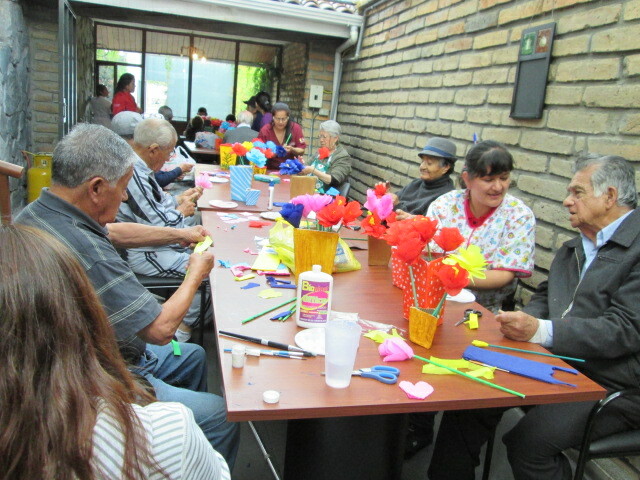 Mayor Marcelo Cabrera, his wife, city dignitaries, employees, and approximately 150 seniors were present Sunday morning, April 19, as Cabrera proudly inaugurated one of Cuenca’s special projects, the “first free public senior center” also known at El Hogar del Abuelos (Home of the Grandparents). Eight other city senior centers are in the planning stages.